Although the economy of the United States is struggling, it continues to dominate the Forbes list of world's biggest public companies with 543 members, its highest total since 2009. Japan lost seven members, but at 251 remained the second-biggest country on the list. For the first time since the list began in 2004, the magazine said, China did not increase the number of its companies on the list. But it still had the third-largest presence with 136 members. Forbes highlighted three Asian countries that showed standout overall growth in the list: Singapore, Thailand and Malaysia. Belgium, Turkey, and the United Arab Emirates had the biggest rise in company market values, growing by double digits from a year ago. Eleven countries had only one firm on the list, including New Zealand, the Czech Republic and Vietnam. Forbes said that overall the Global 2000 companies, which employ 87 million people, had seen mostly solid growth from a year ago. Let's take a look at world's 30 biggest public companies. 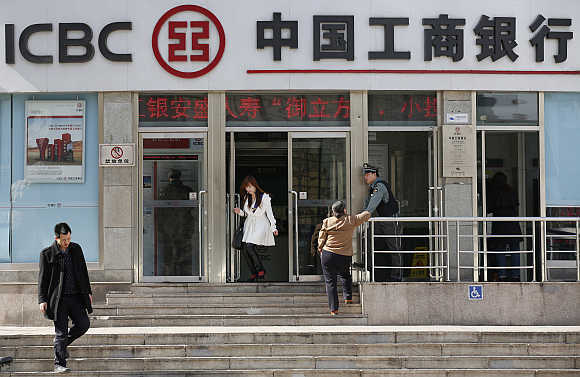 Image: A branch of the Industrial and Commercial Bank of China in Beijing. 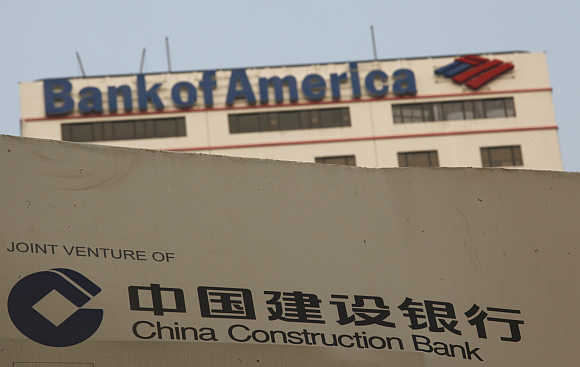 Image: A construction site of the Hong Kong headquarters of China Construction Bank (Asia) is seen in front of Bank of America Tower at Hong Kong's financial Central district. 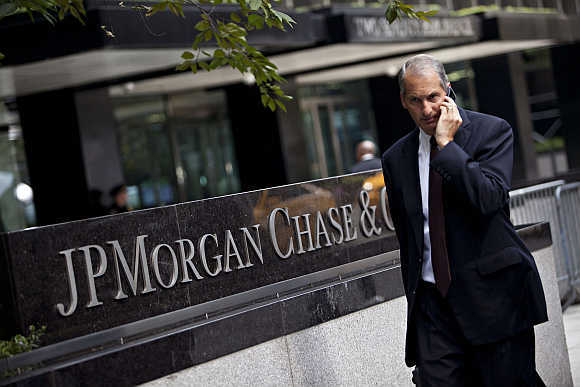 Image: A man walks past JP Morgan Chase's international headquarters on Park Avenue in New York. 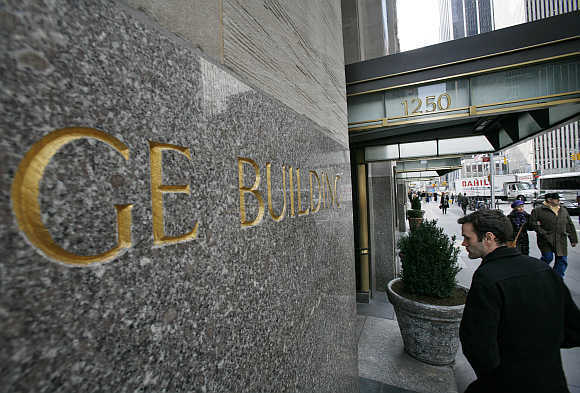 Image: A man enters the General Electric building at 1250 Avenue of the Americas, also known as 30 Rockefeller Plaza, in New York. 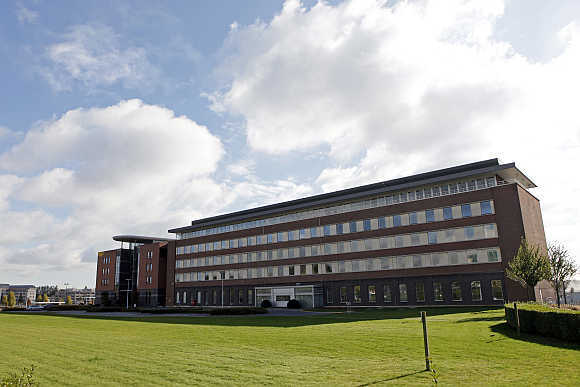 Image: Belgian headquarters of oil giant ExxonMobil in Machelen, northern Brussels. 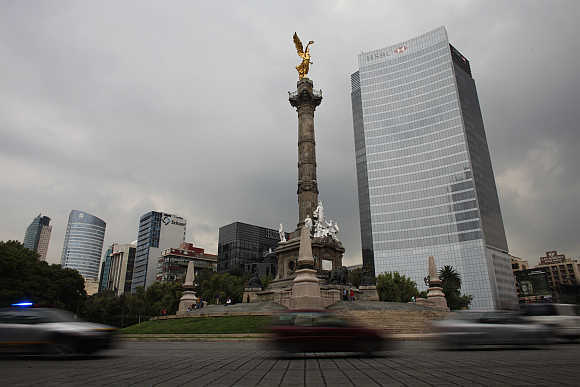 Image: Cars drive past the Angel of Independence monument and British bank HSBC's headquarters in Mexico City. 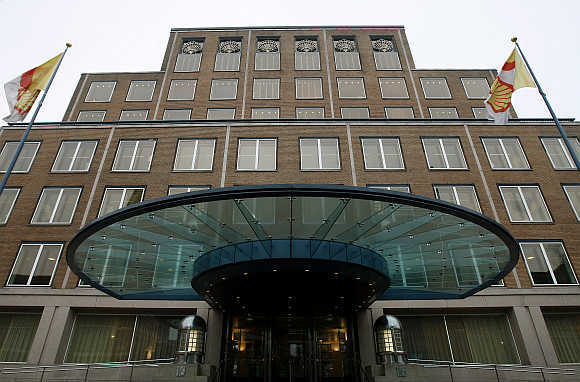 Image: Shell's headquarters in the Hague, the Netherlands. 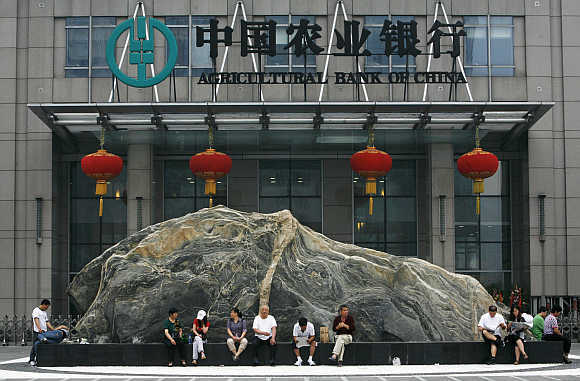 Image: Red lanterns are hung at the headquarters of the Agricultural Bank of China in Beijing. 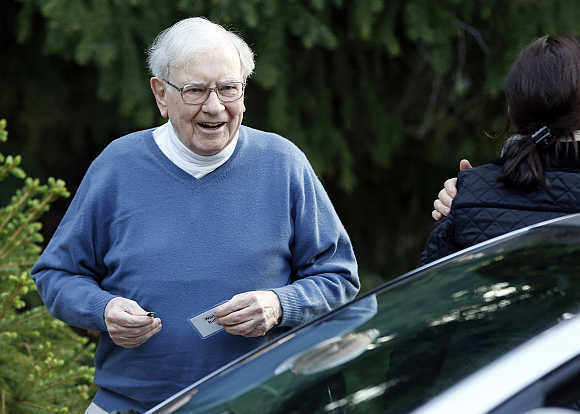 Image: Berkshire Hathaway CEO Warren Buffett attends the Allen & Co Media Conference in Sun Valley, Idaho, United States. 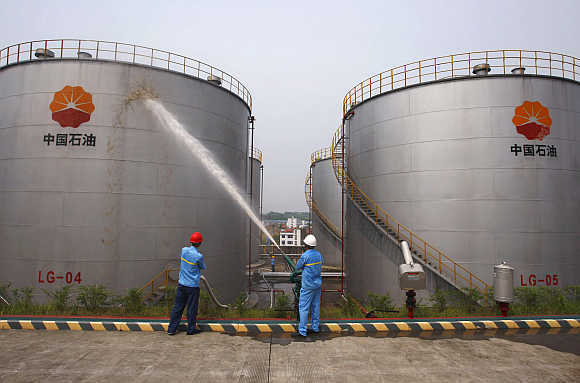 Image: Employees spray water to cool down oil tanks at a storage facility belonging to PetroChina oil, in Suijing, Sichuan Province, China. 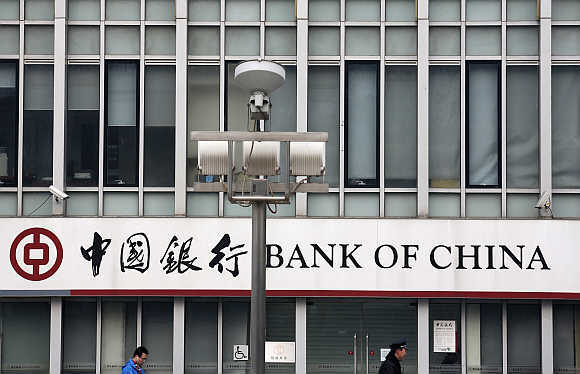 Image: A signboard of Bank of China at its branch in Beijing. 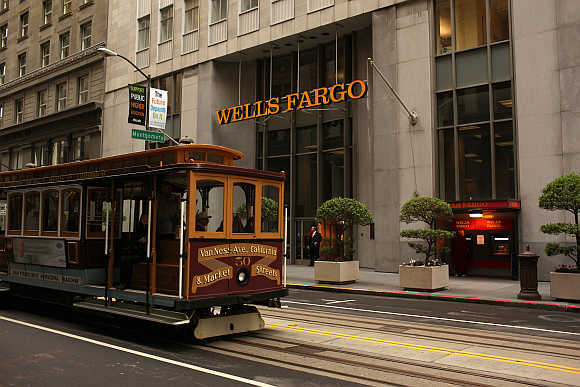 Image: A cable car passes the Wells Fargo Bank headquarters in the Financial District in San Francisco, California. 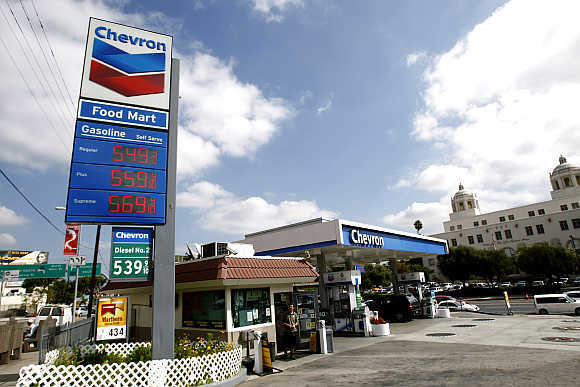 Image: Gas prices are displayed at a Chevron gas station in Los Angeles, California. 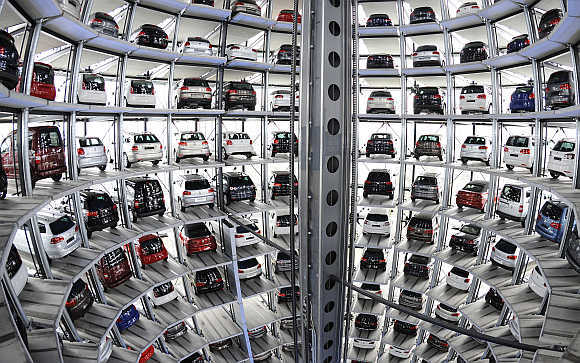 Image: Volkswagen cars in a delivery tower at the company's headquarters in Wolfsburg, Germany. 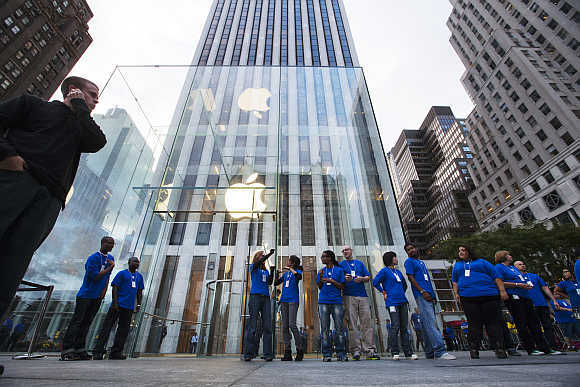 Image: A view of Apple Store on 5th Avenue in New York City. 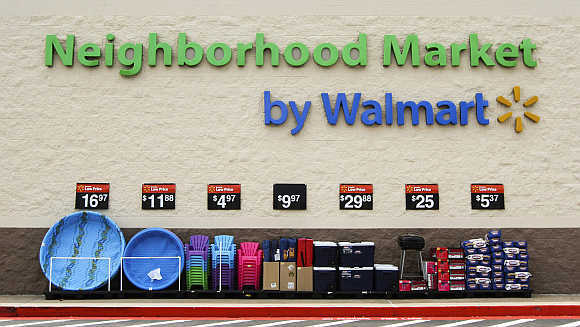 Image: Products are displayed outside a Walmart Neighborhood Market store in Bentonville, Arkansas, United States. 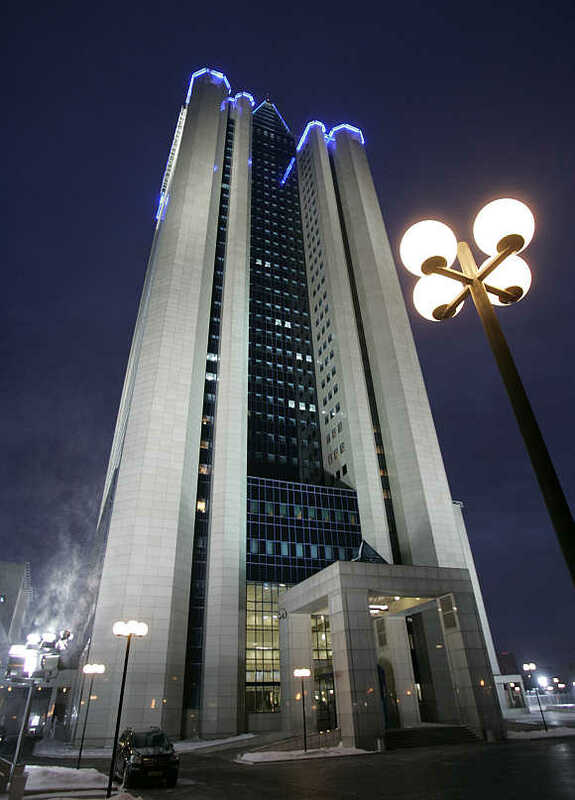 Image: A view of Russian gas monopoly Gazprom's headquarters in Moscow. 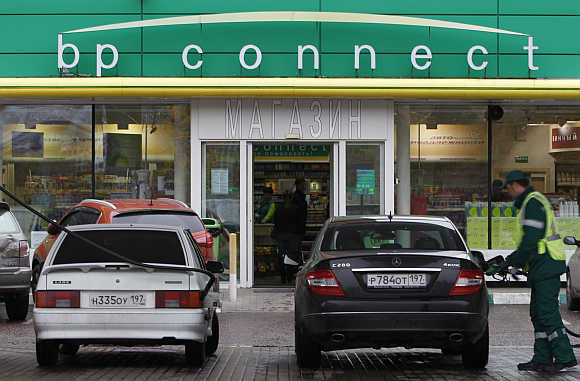 Image: A pump attendant fills cars at a BP petrol station in Moscow. 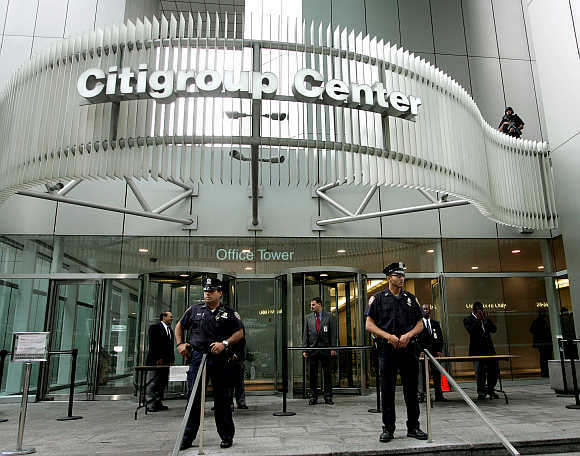 Image: Citigroup headquarters in New York. 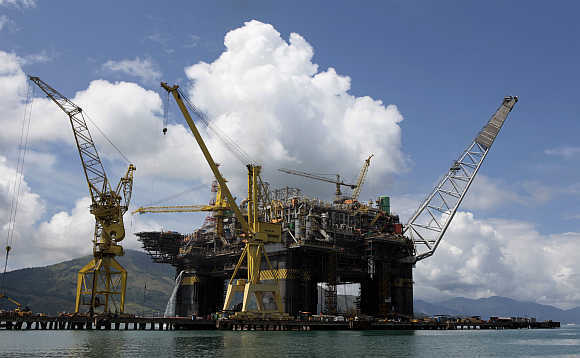 Image: An aerial view of Petrobas platform in Angra dos Reis, about 185km west of Rio de Janeiro, Brazil. 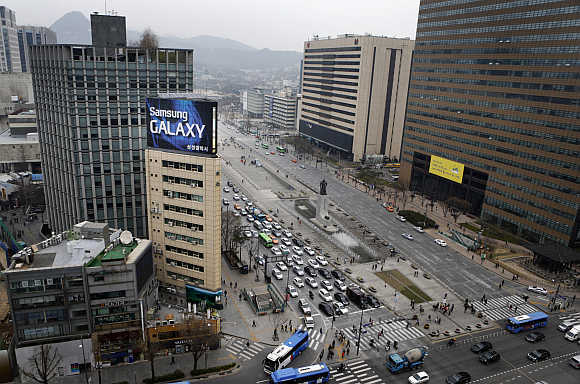 Image: A Samsung outdoor advertisement sits atop an office building in Seoul, South Korea. 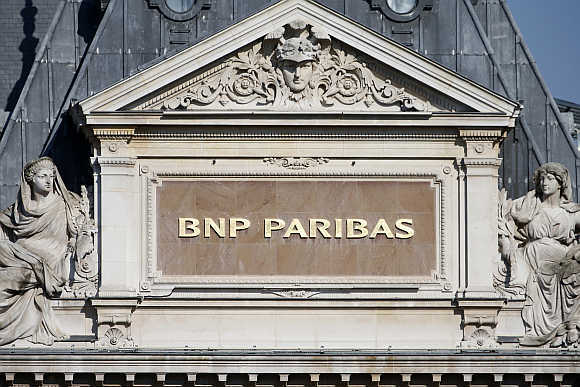 Image: BNP Paribas plaque is seen on the roof of one of their main banks in central Paris. 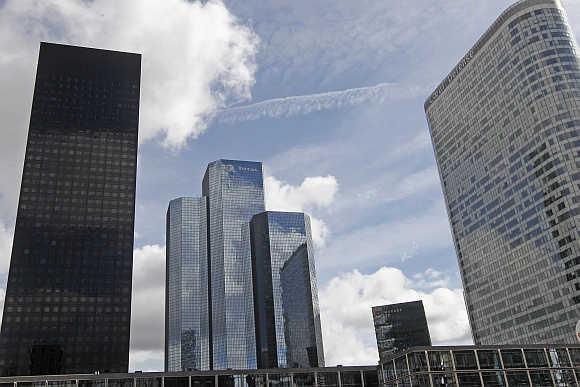 Image: A view of Total building named Total Coupole Tower, centre, at the La Defense business district in Courbevoie near Paris. 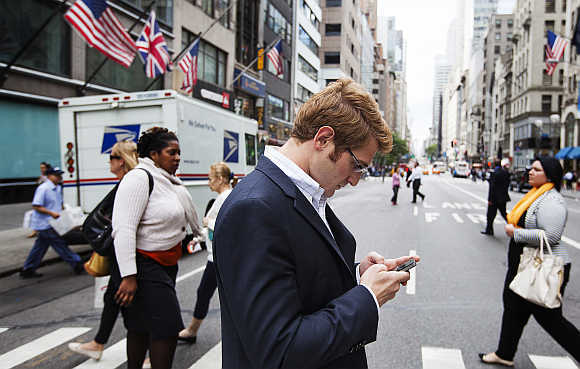 Image: A man uses mobile phone while walking across 5th Avenue in New York. 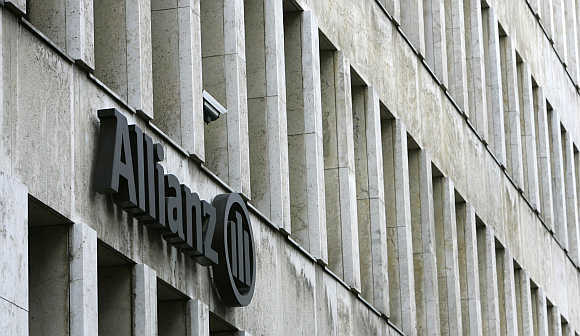 Image: Allianz's main office in Cologne, Germany. 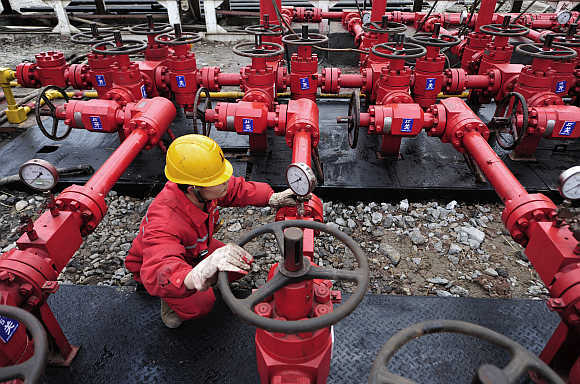 Image: A worker performs a routine check to the valves at a natural gas appraisal well of Sinopec in Langzhong county, Sichuan province, China. 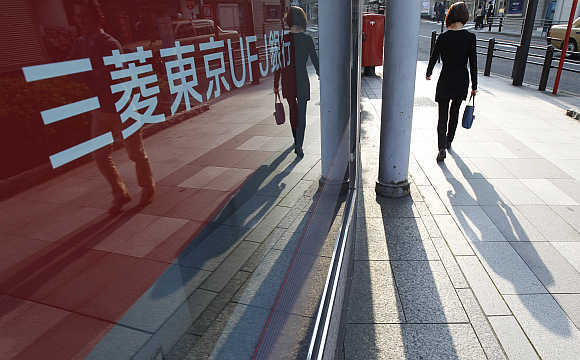 Image: A pedestrian walks past a signboard of a branch bank of Mitsubishi UFJ Financial Group in Tokyo. 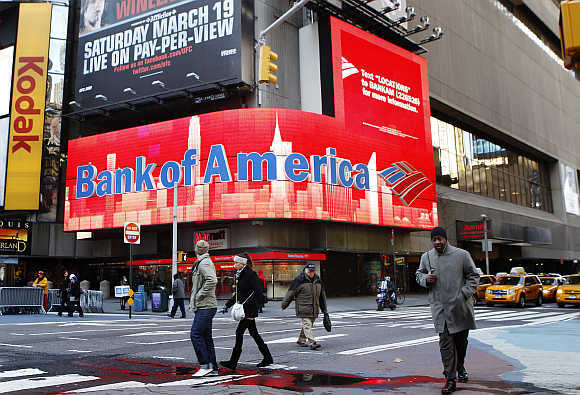 Image: Pedestrians walk past a Bank of America sign on a building in Times Square in New York. 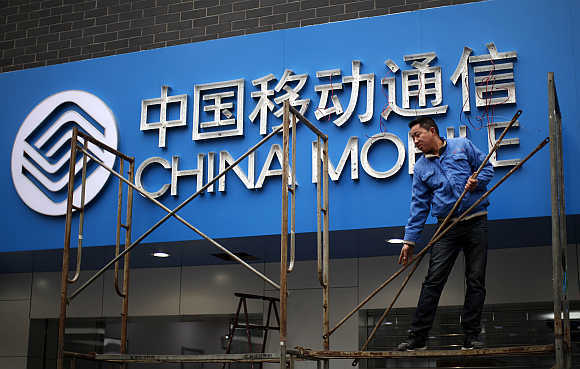 Image: A labourer works in front of a sign for China Mobile at the company's office in downtown Shanghai. 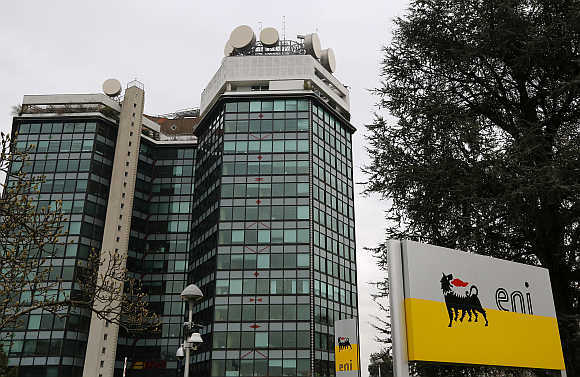 Image: The logo of oil company Eni at its San Donato Milanese headquarters near Milan, Italy.